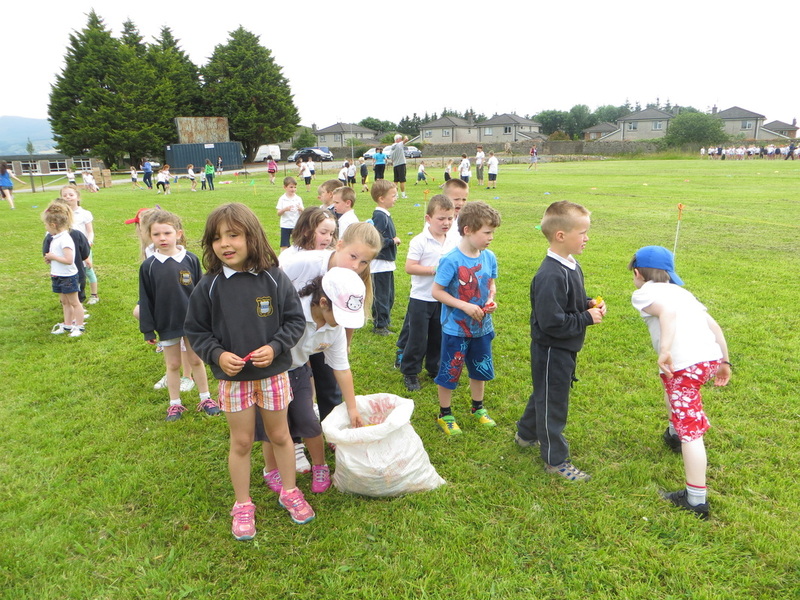 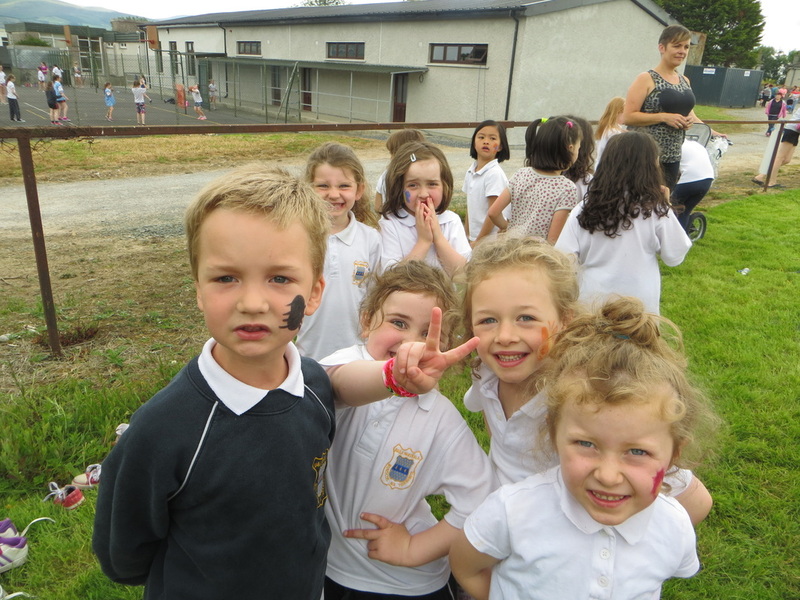 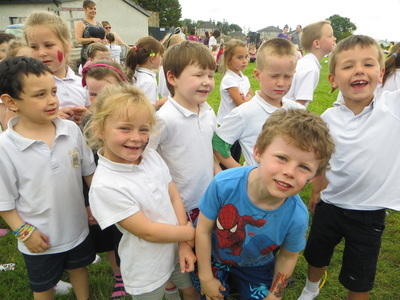 On June 23rd 2014, we had our Sports Day. 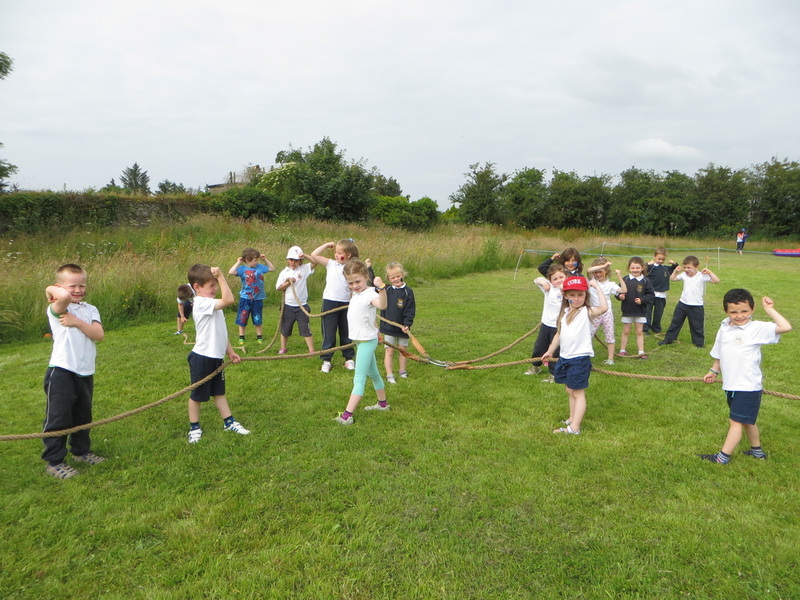 We had great weather and really enjoyed the day. Thanks to Ms O'Brien who organised the day and all the teachers, past pupils and members of the Parents' Council who helped on the day. 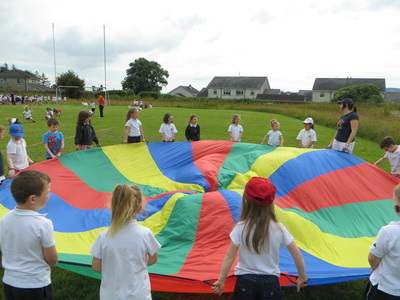 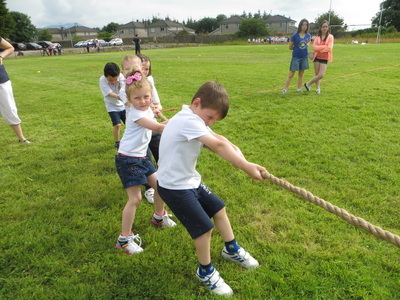 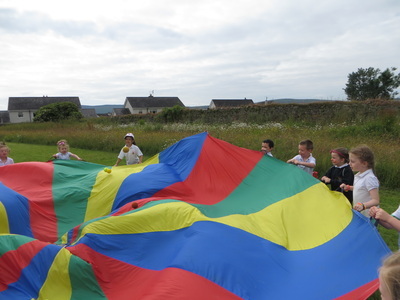 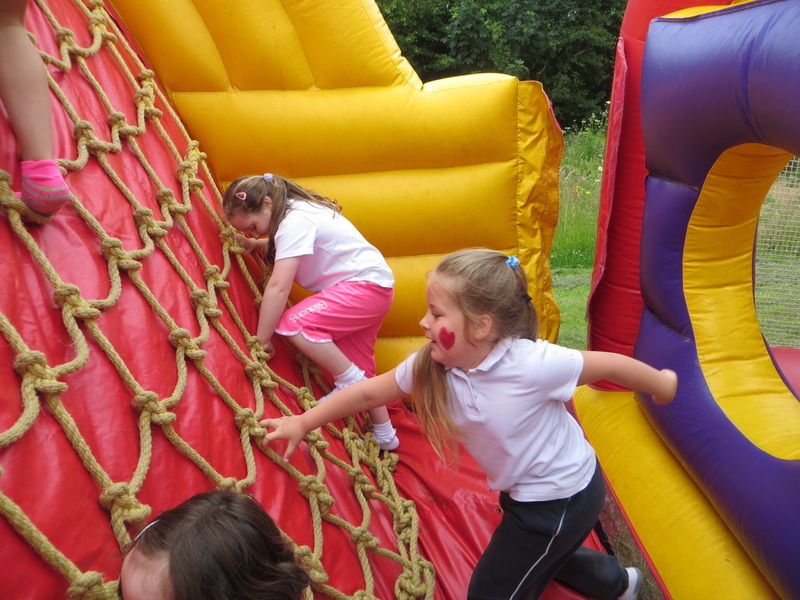 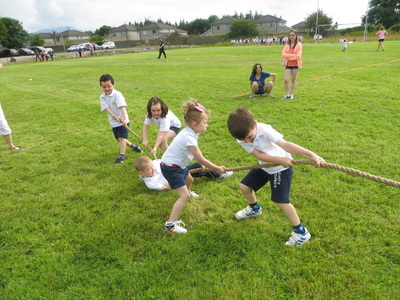 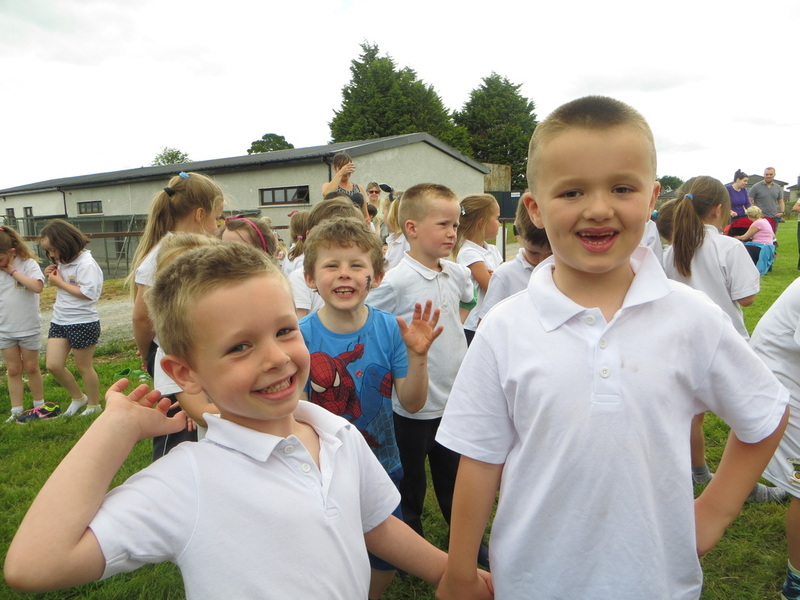 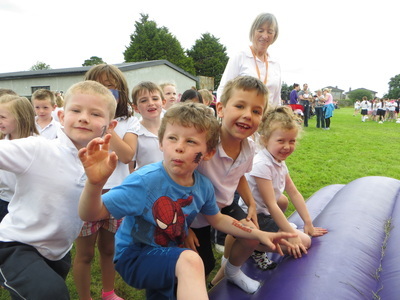 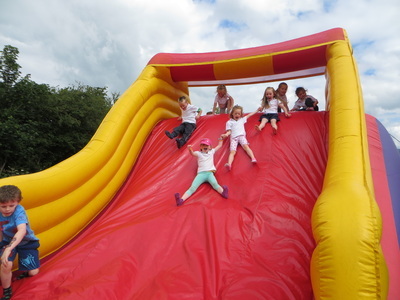 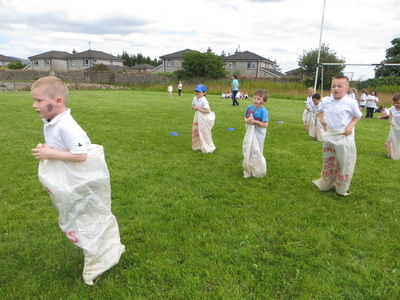 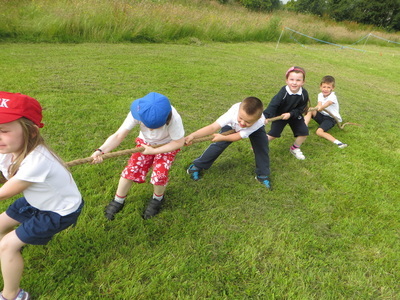 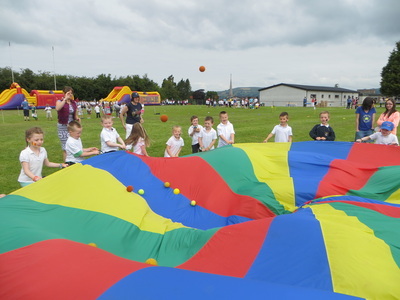 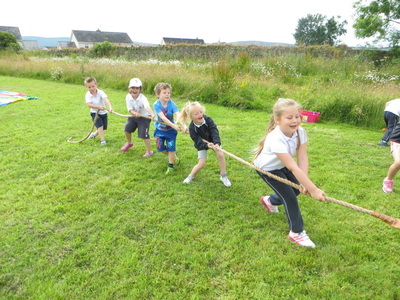 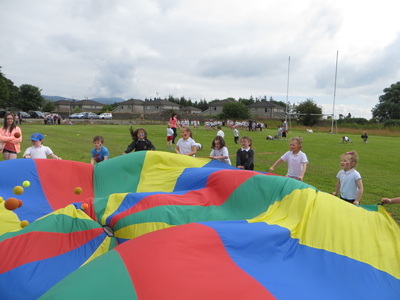 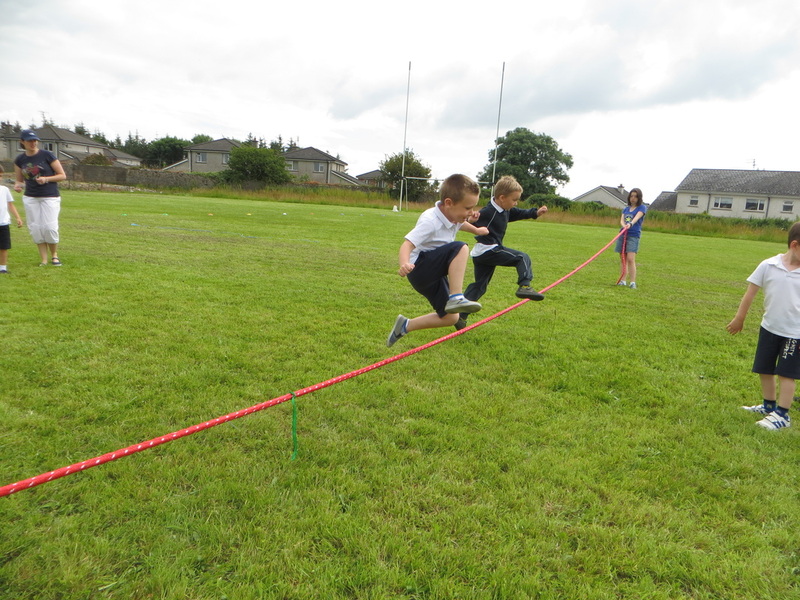 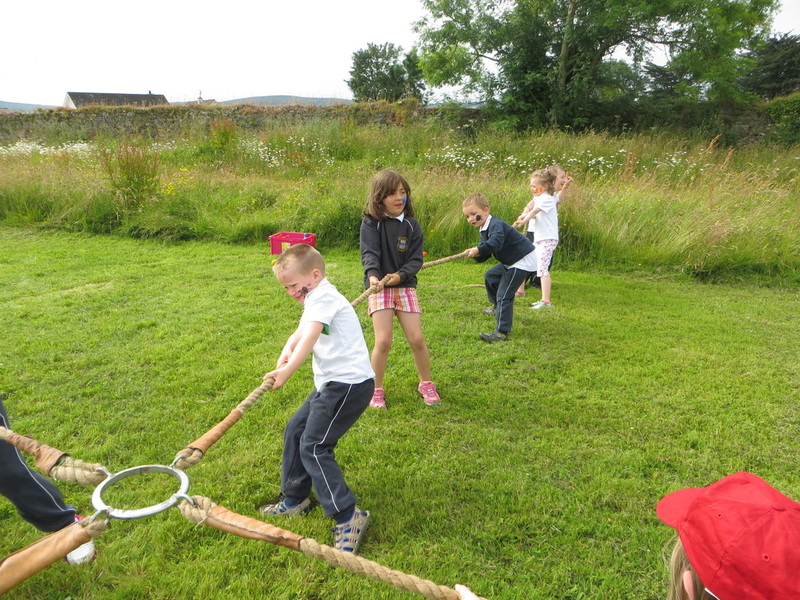 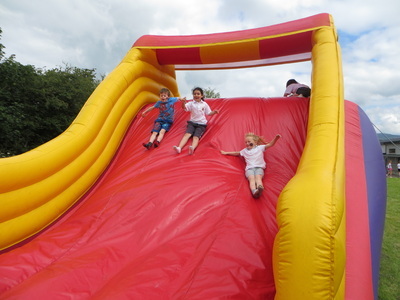 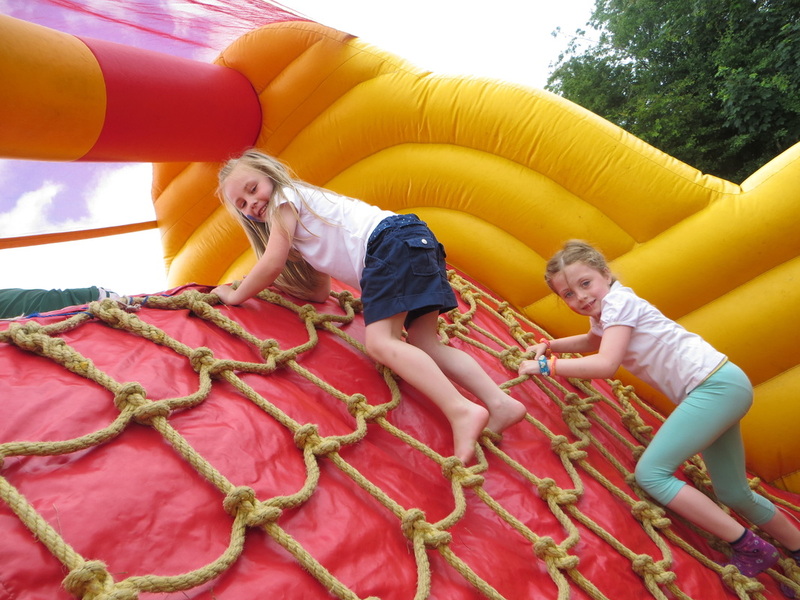 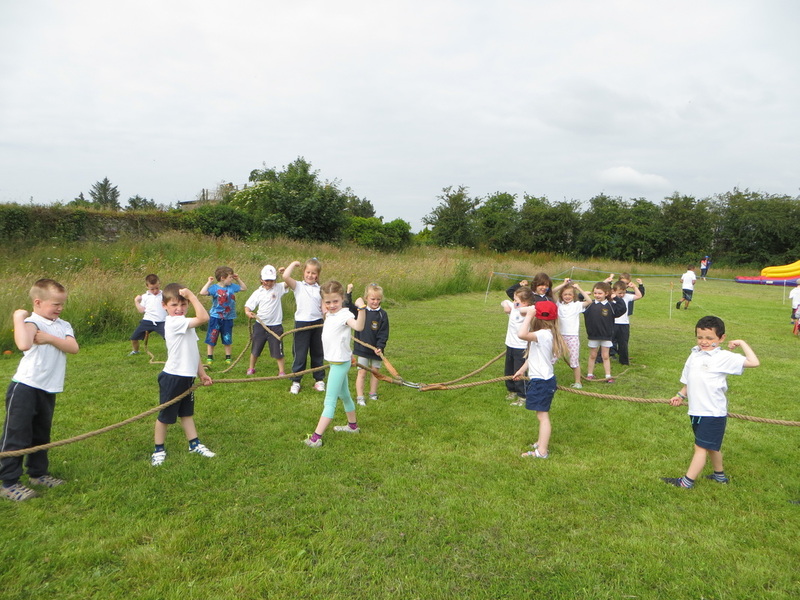 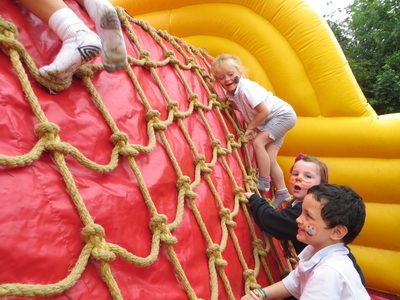 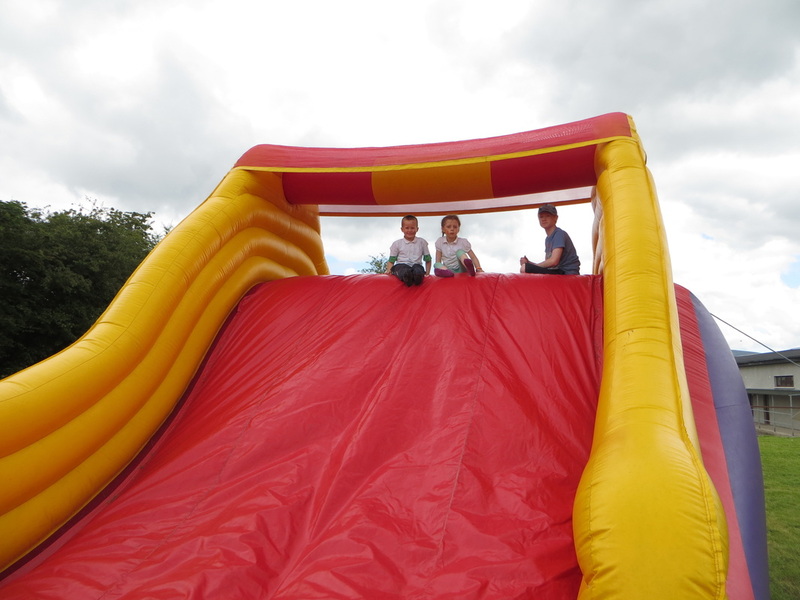 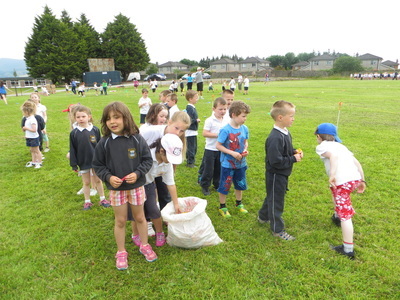 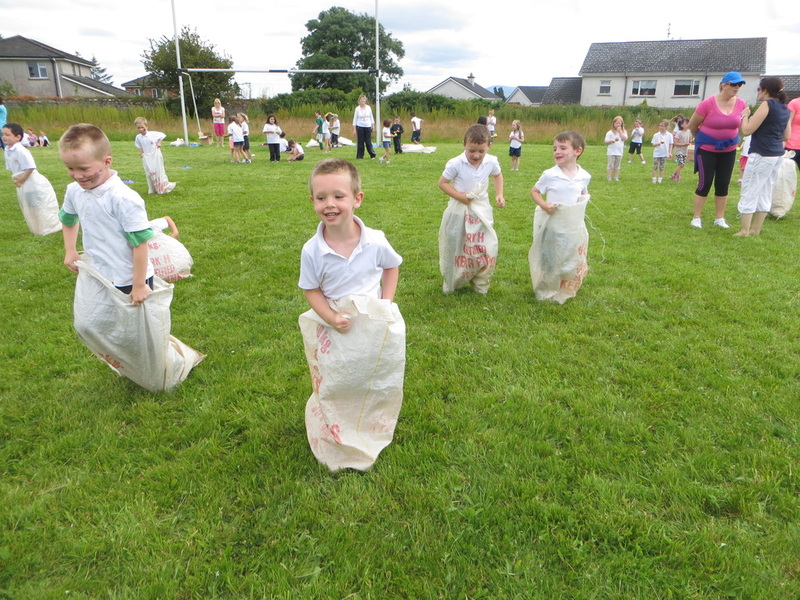 We had a wide range of activities such as basketball, egg and spoon races, parachute, tug-of-war, bouncy castles, golf, football skills and much more. Look at some photos below.